For the second year in a row, the Burke Library participated in a worldwide weeklong initiative to spread awareness and engagement with Special Collections known as Color Our Collections. In this series of events, initiated by the New York Academy of Medicine, libraries and museums around the world upload black-and-white versions of images in their Special Collections to create unique coloring books for users to color-in with pencils. (Coloring, traditionally an activity associated with young children, has grown in popularity among adults of all ages in recent years, for its relaxation effects and impact on mindfulness and calm; many bookstores now carry coloring books for adults, and lately I have seen multiple people my own age coloring in coloring books on airplanes.) 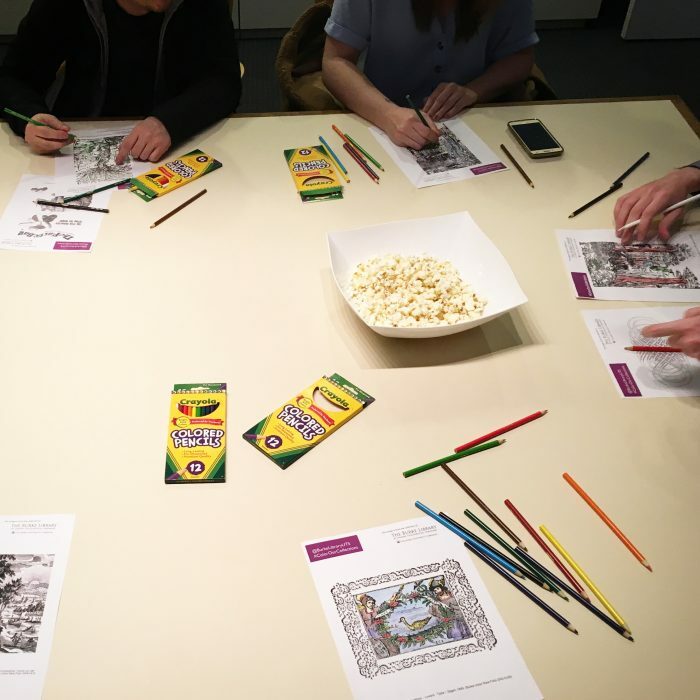 During Color OurCollections Week, many institutions host coloring events and offer printed versions of their coloring books. Guests can attend these coloring events or visit ColorOurCollections.org and download coloring books from libraries and museums around the world. 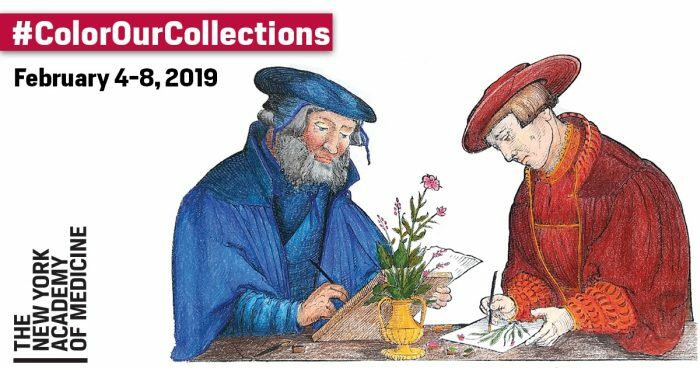 Participants can upload photos of their creative coloring to social media using the hashtag #ColorOurCollections and see others’ posts and explore the collections from far-flung institutions. This lets users explore and engage through hands-on experience with their collections from home. The Burke Library uploaded a coloring book chock full of images from the archives, rare books and manuscripts. There are many wonderful coloring books available on this year’s Color Our Collections page from other libraries and institutions; our colleagues at the Beinecke Rare Book & Manuscript Library at Yale University uploaded a very fine selection of images, and the New York Academy of Medicine (the original founders of Color Our Collections) always include intriguing health-related and scientific images from their special collections. From outside the U.S., the Escuela Superior de Artes de Yucatán and Museum für Kunst und Gewerbe Hamburg coloring books were both beautiful. 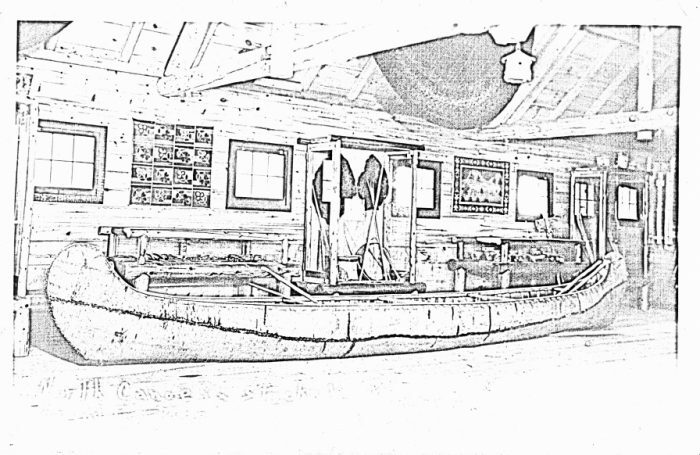 Having been raised going on canoe trips in the north woods of Minnesota, I was intrigued by the coloring book from the Grand Portage National Monument Archives, featuring images of Ojibwe artwork, birch bark canoes, and the region’s natural features. The Burke Library’s own on-site Color Our Collections event, featuring complimentary tea and snacks, drew about a dozen guests, including students from Union Theological Seminary and Columbia University, as well as a few library staff members who saw a poster for the event and decided to drop in on their lunch break to do some coloring. Participants seemed intrigued by the images from the Burke’s collections, engaged in lively conversation about the history of the Burke and its role in the university, and appreciated the fact that we hosted such a nice event open to the community. Some of them took extra coloring books to give to friends. We promoted the event on social media, and some of our remote followers commented requesting links to the site so they could download their own coloring books. Having been alerted to the existence of Color Our Collections last year by Myong Jin, the Collections Assistant at the Burke Library, I was very glad to have collaborated with her again put on our second such successful event this year, and look forward to hosting it again in 2020. 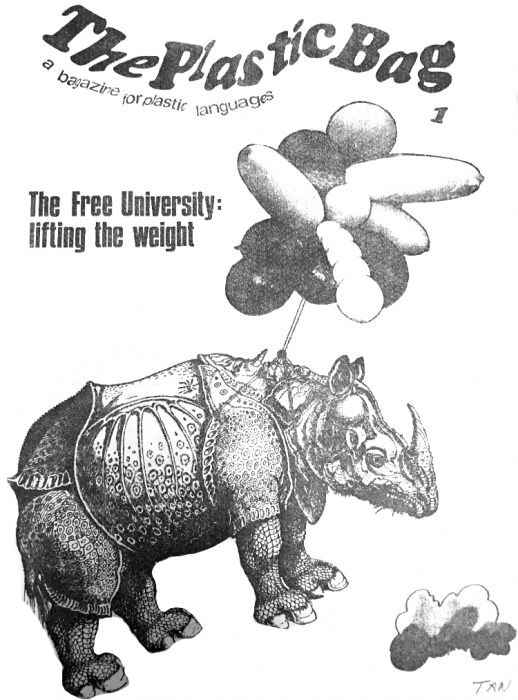 This entry was posted in Archives, Collections, Events, Manuscripts, Rare books, Union Theological Seminary History and tagged Archives, Coloring, Events, Special Collections on February 22, 2019 by Carolyn Bratnober.